For more than 50 years, Quaker Maid Meats has been a family-owned-and-operated company dedicated to quality frozen meat products offered at a fair and reasonable price. 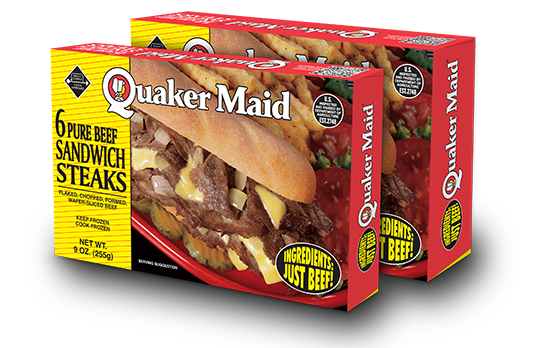 Quaker Maid®'s Pure Beef Sandwich Steaks have been a meal staple, and offer the convenience, versatility and value that today's families require. Our steaks go from freezer to plate in just minutes, and their use extends well beyond the traditional Philly cheesesteak. Add a protein punch to eggs, casseroles and stir fries, or make a delicious wrap, gyro or even sloppy joes. 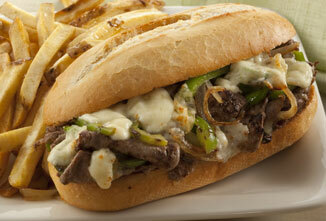 Visit our recipes for a variety of inspiring ideas! © Quaker Maid Meats, Inc. All Rights Reserved.